Brochures are the perfect supplementary tool to give to someone to clue them into more information about your product or service WITHOUT having to rely on the internet. Did you just come across someone at a trade show or other event? Give them a brochure. Did you just have a walk-in that you weren't expecting but don't have time to dive into the deep details you need to make a sale? Give them a brochure. 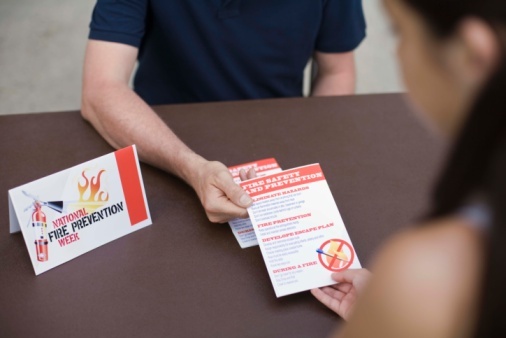 Another one of the most important reasons why brochures are still incredibly effective comes down to the many ways in which they can be used beyond straight selling. Yes, this is a great way to give someone a big portion of information about your products or services... but a brochure also makes your contact information readily available. It works a lot like a business card that way, only going above and beyond what a business card can do on its own. Finally and perhaps most importantly, brochures are effective marketing tools for one reason above all others: they exist in the real world. They're physical. People can hold them in their hands, or give them to friends and family members. Nobody is saying that gorgeously designed websites aren't exactly that - but a brochure is a perfect way to take all that information you already have and bring it into the realm of the physical. Not only that, but brochures and other types of print marketing will immediately allow you to stand out from competitors who have switched to primarily digital materials - another benefit that is too powerful to overlook. These are just a few of the many reasons why brochures aren't going away anytime soon. If you didn't get to create as many brochures as you wanted to during the last year, 2018 would be an excellent time to start.